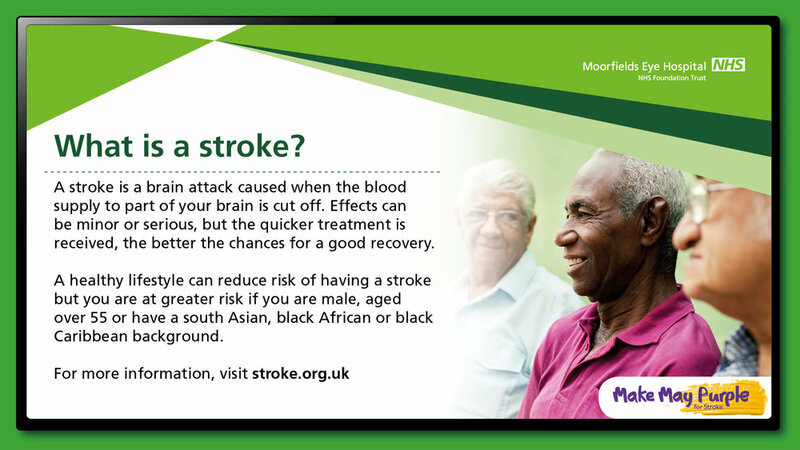 We have a variety of messages about Stroke, as it's such an important topic for so many people. 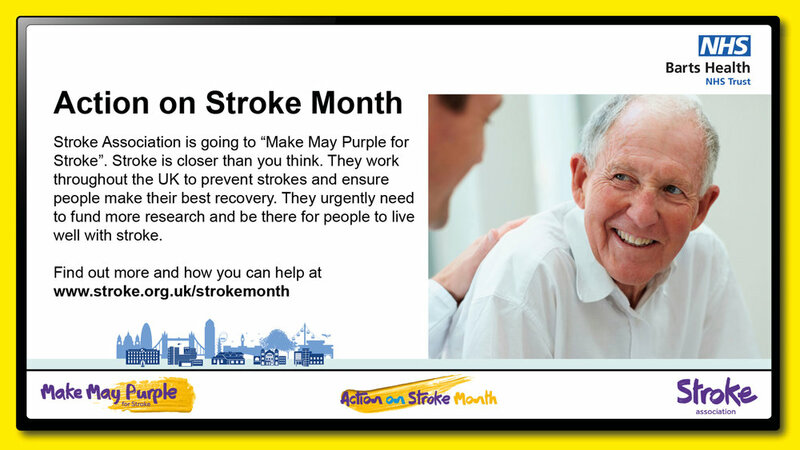 We have messaging speciically about Making May Purple for Stroke and the work that the Stroke Association does. 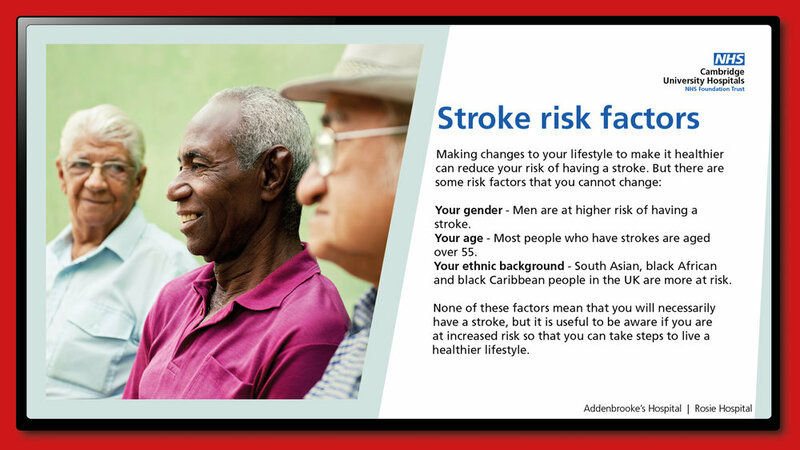 We have messaging about lifestyle changes and how to avoid stroke, what to do if someone close to you has a stroke and just some general information on the effects of stroke. 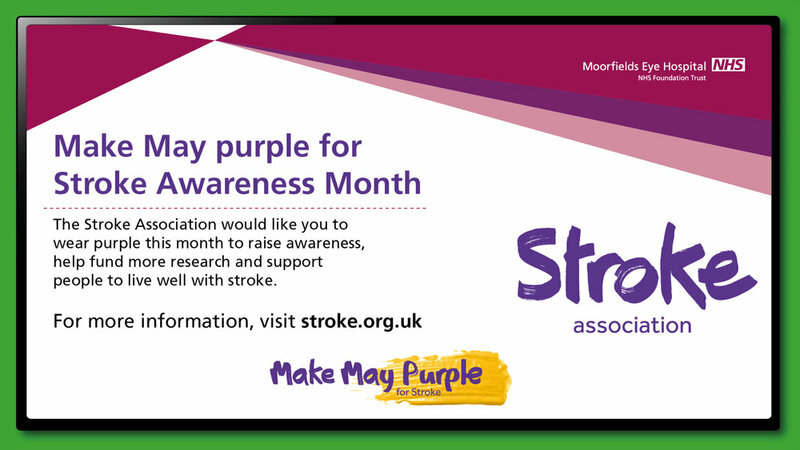 May is also National Walking Month. 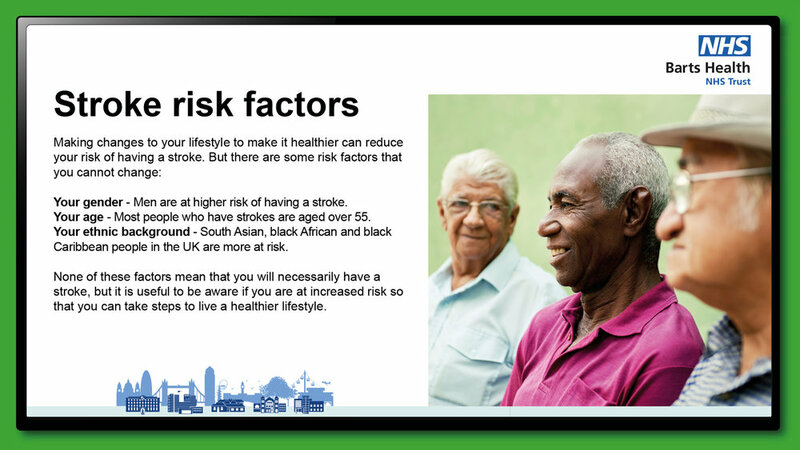 We've made a few messages for some of our partner Trusts to try and influence their patients and visitors to be a little more active – even if it's just going out and walking the dog. 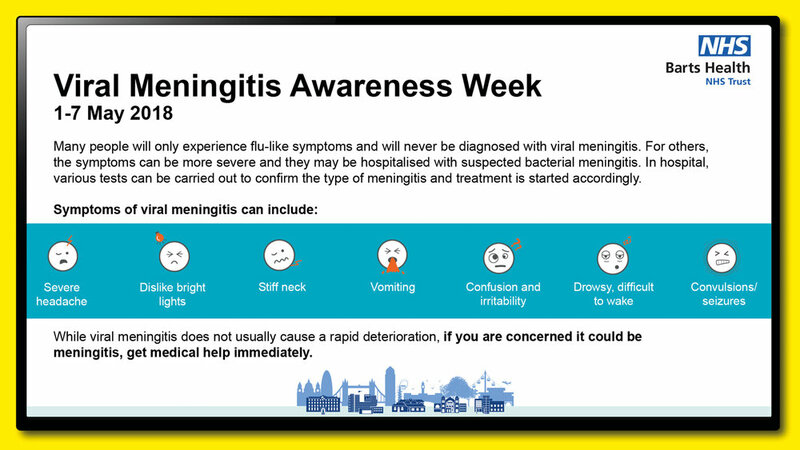 The first week of May was Viral Meningitis Awareness Week. 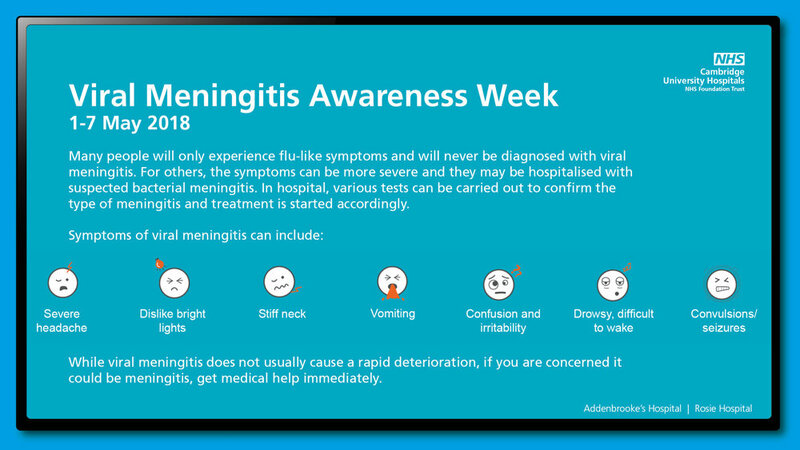 We made some simple messages highlighting the symptoms of viral meningitis and education people on when to seek medical help. 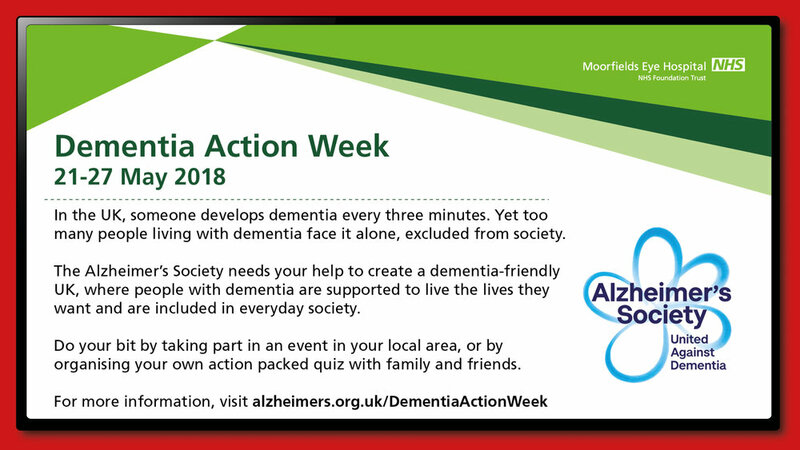 Dying Matters Awareness Week happens every year and is very popular with our partner Trusts. People don't want to talk about dying, but we can help to start this difficult conversation with digital signage. 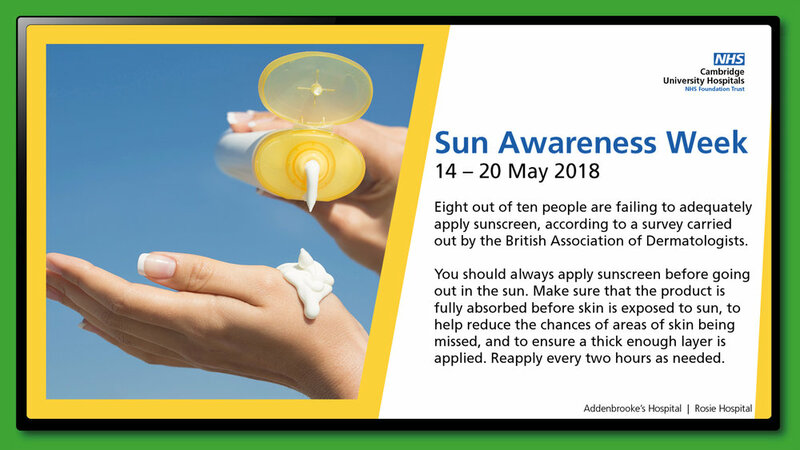 Each year during Deaf Awareness Week we make a message for hospital screens with useful facts and tips to help improve the lives of those with hearing loss. Mental Health Awareness Week is hugely popular this year, in fact we've seen it all over social media. 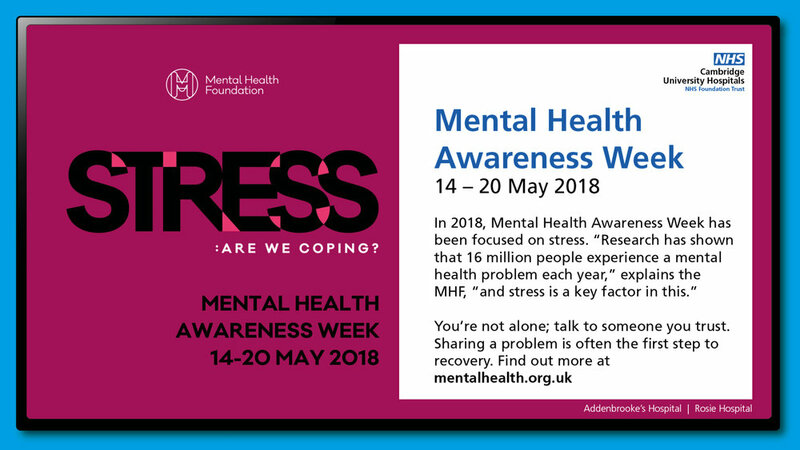 We're working to put it all over hospital digital signage as well, so we've created these messages to talk about coping with stress. 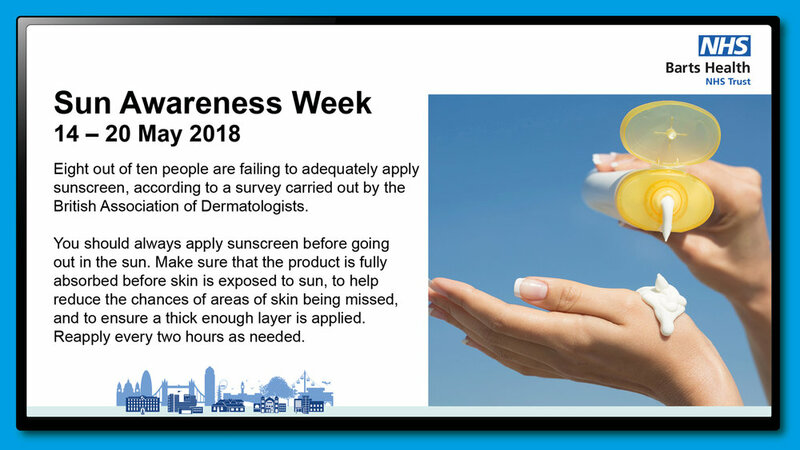 As the sun comes out this May and we begin to forget the winter grey, it's a good time to get patients, staff and visitors thinking about sun protection and ensuring that sunscreen is properly applied in time for summer. It's National Epilepsy Week so we've made this message to education the public about what epilepsy is and where to go to find out more information about the condition. 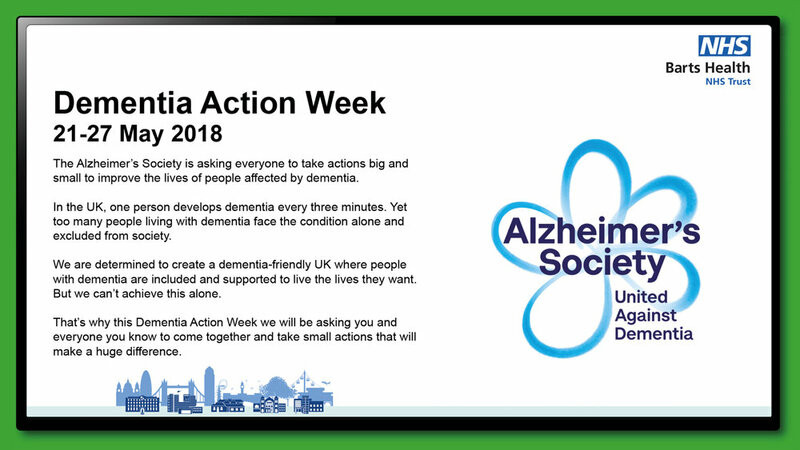 It's Dementia Action Week at the end of May, and what better way to close off the month than by creating a selection of messages to help the Alzheirmer's Society bring everyone together to take small actions to improve the lives of those living with dementia. 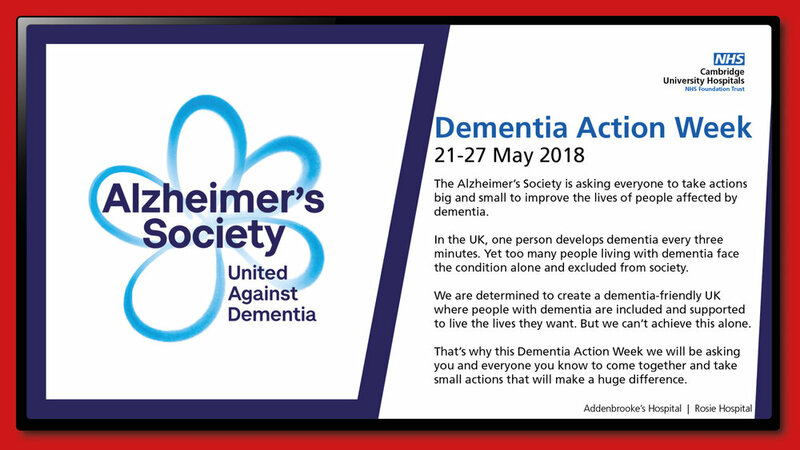 We're helping to create a dementia-friendly UK one digital display at a time!